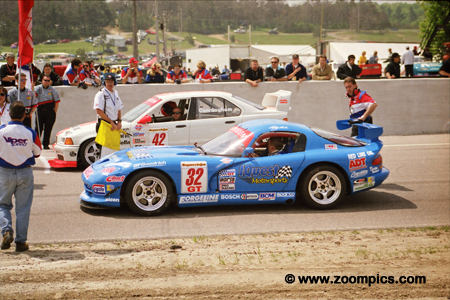 A seven-week break between Charlotte and Mosport provided many teams with the additional preparation time needed for their first appearance in 2000. 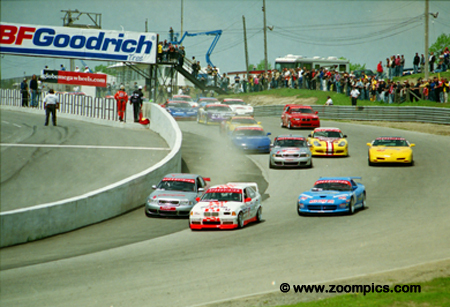 At Mosport, there were thirty-six entries, thirty-three starters and twenty-three finishers. The start of round two for the Sports Car Club of America’s World Challenge GT class and the cars funnel into Mosport’s corner one. Pole-sitter Peter Cunningham jumps into the lead but the silver Audis of Michael Galati (third fastest qualifier) and Derek Bell (eighth place starter) demonstrate the car’s four-wheel drive advantage. Matt Drendel in the No. 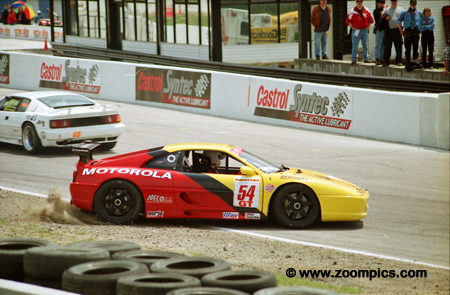 54 Ferrari 355 spins at corner ten as Rael passes for position in his Lotus Esprit Turbo. While Drendel may have been disappointed to lose the place the outcome was not as serious the accident he had with David Schardt at Charlotte. Rael finished eighteenth and Drendel nineteenth. Peter Cunningham qualified his RealTime BMW M3 on the pole. 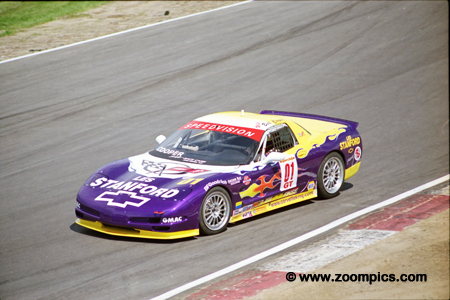 He led the first lap but by the second was passed by eventual race winner Bobby Archer in a Dodge Viper GTS. Cunningham set the fastest lap of the race but dropped to the fifth position at the checkered flag. 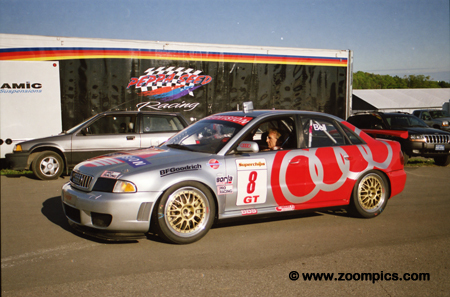 By round two Champion Racing had a second Audi S4 for Michael Galati the 1999 Touring Champion. 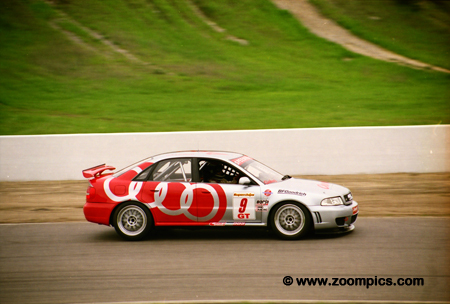 The Audi was built by touring car specialist Richard Lloyd of Audi Sport UK. The Champion Audis were powered by a European S4 turbocharged, 5-valve, V-6 engine and fitted with a specially designed suspension. 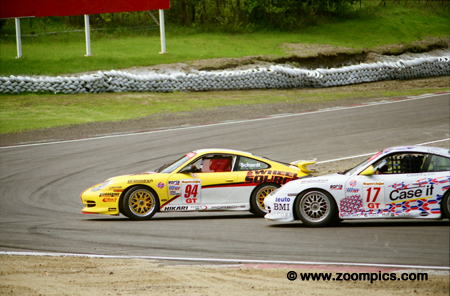 At Mosport Galati started third and finished second. Round two and the front row of the World Challenge GT Championship at Mosport. 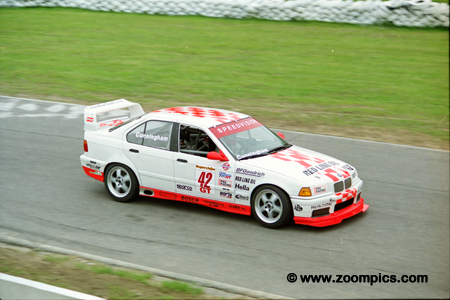 One the pole was Peter Cunningham in a BMW M3. Next to Cunningham is Bobby Archer, who would grab the lead on lap two and never look back - winning by a margin of 1.650-seconds. This was redemption for Archer, who lost an engine in the opening round at Charlotte and finished thirtieth. Round one winner, at Charlotte, Bill Cooper in the Pirate Racing Chevrolet Corvette C5 qualified ninth in the thirty-three car field. Cooper moved up the order to finish sixth – he left Mosport still leading the championship. 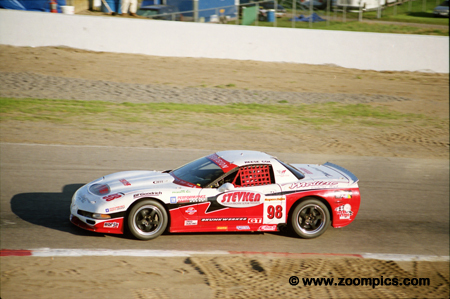 This beautiful Chevrolet Corvette C5 was built by Doug Rippie and driven by Scotty B. White. White qualified thirteen and made it into the top-ten - finishing eighth. 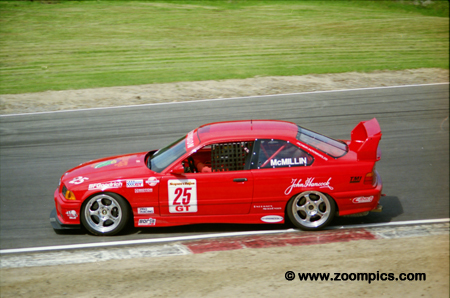 BMW M3 driver Jeff McMillin was the most consistent driver in the 2000 World Challenge GT class. At Mosport, he moved from tenth on the grid to a fourth place finish. In round one at Charlotte, he started twenty-third and finished eighth. During the 2000 season, McMillin never finished worse than ninth. This record allowed him to capture the series championship without a single win. Veteran sports car racer Derek Bell had the most impressive resume of any driver in the field - winning the Le Mans 24 hours five-times, the Daytona 24 three-times and the World Sportscar Championship twice. He also raced in Formula One for the Ferrari, Tecno, Surtees and McLaren. 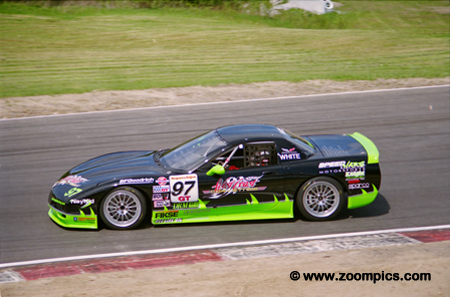 At Mosport Bell started eighth and finished seventh. Reese Cox started the season in fine form - taking a second place at Lowes Motor Speedway. 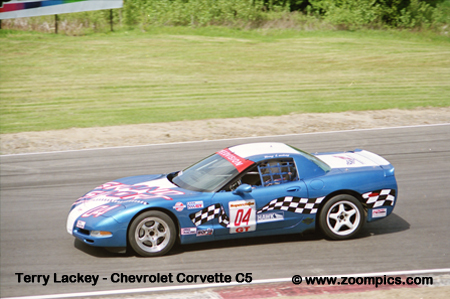 The driver of the MTI Chevrolet Corvette C5 qualified fourteenth at Mosport but he was the third retirement of the race - completing only 4-laps. Number 94 driven by David Schardt gets his Porsche GT3 Cup sideways at Moss corner as No. 17 Adam Merzon in a similar model avoids him. Schardt would fare much better in round two of the series - qualifying sixth and finishing a close third. At Charlotte, he was involved in a late-race incident. Merzon finished fourteenth after starting twenty-third.